When I was growing up I remember that anytime something new came out my parents would say it was the best thing since sliced bread. That brings me back to my post of a few days ago. You may remember that I was hacked and among other things Blogger shut my blog down due to suspicious activity. My first thought of course was "what if I have lost my entire blog" because naturally I didn't have it stored anywhere. 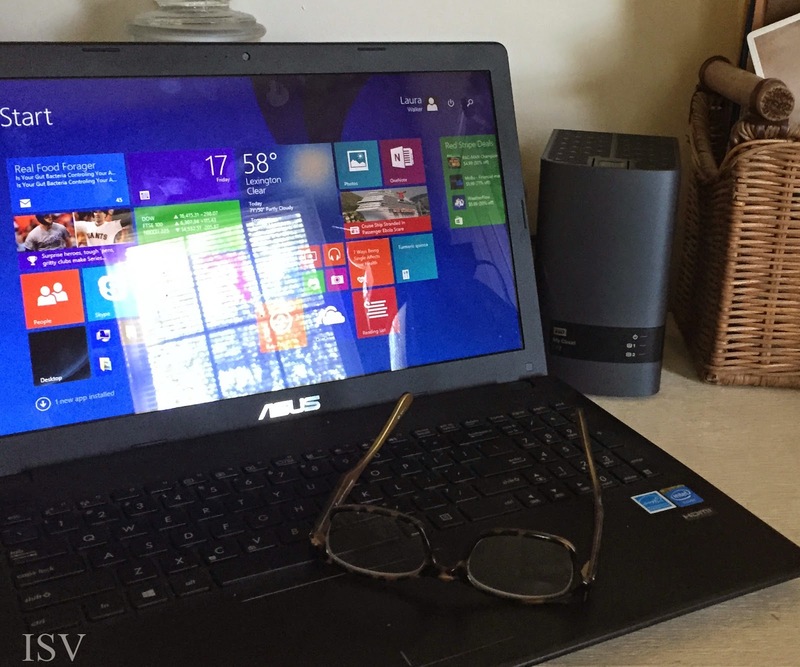 That is when the technology gods smiled down on me, because almost simultaneously WD, a Western Digital Company, sponsored today's blog post by providing me with a My Cloud EX2 to use and review. When they first contacted me I was looking over my shoulder to see if they were talking to someone else. I mean I am not a technology wizard. There are days when I am doing well to tie my shoelaces, but that is the beauty of it. If I can use this then pretty much anyone can and I am thinking that having my own private cloud storage is a really good thing. 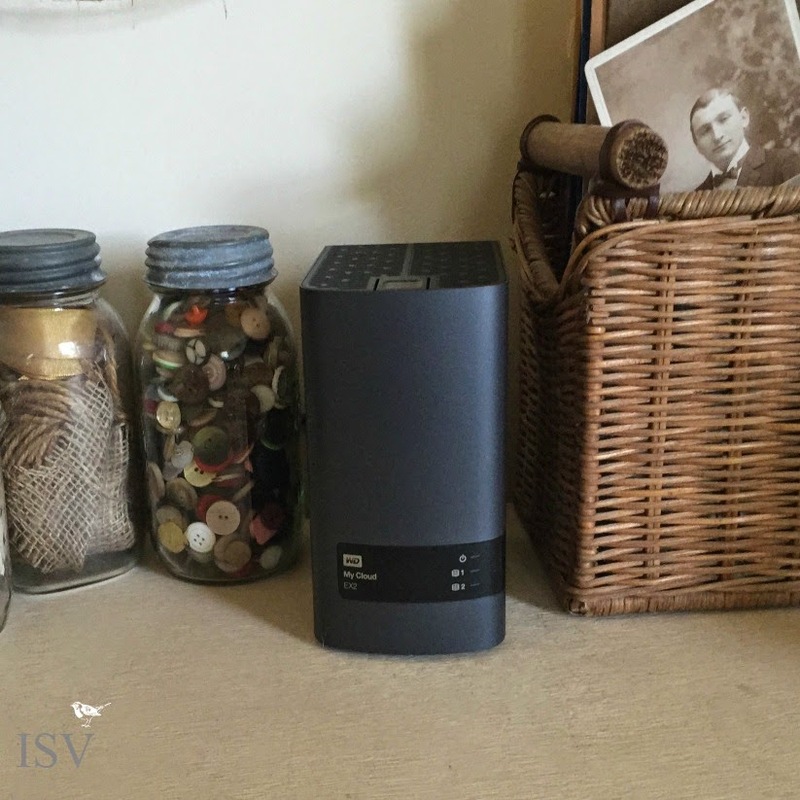 Here are some reasons that I personally need the My Cloud and why you might need one too for your home office/personal use. 1) Backing up your blog. There is nothing worse that that terrible feeling of thinking you have lost years of posts with no way to retrieve them. I don't trust backing them up on my computer, which leads into reason number two. 2) Backing up your laptop. My old laptop bit the dust a couple of months ago. Trying to retrieve anything from it is like dragging a ball and chain down an old dusty road in 100 degree weather. What if that is the only place my blog is backed up. I'll be parched and sunburned before I can even find it. 3) Backing up your tablet or phone. My daughter lost her Iphone a couple of weeks ago and along with it went a lot of photos of her precious children. That is heartbreaking for any of us, but My Cloud EX2 has mobile apps for both IOs and Android devices. That brings me to reason number four. 4) Protecting your photos and videos. Like my daughter, I recently lost some of my photos when my old phone died. Yes, I had transferred most of them to my computer. You know, the computer that also bit the dust. So they are in there somewhere but it isn't going to be easy getting them. 5) Less stress and worry. This is probably one of the most important reasons for me. I am definitely into doing things that will lead me away from stress, and the WD My Cloud EX2 will do that for me and my business. I am feeling more serene by the minute. MAP is $199.99 USD for the diskless My Cloud EX2. There is so much more to know about this wonderful product, but I will leave all of the techy stuff to the experts. If you would like to learn more or purchase your own, head on over to the My Cloud EX2 site. Oh, this sounds awesome - I need to get me one of these. Thanks Laura. Sweet Laura... great post! I know next to nothing to nothing about technology but it sounds like I need one of these nifty things! Have a great weekend! I really need to think of a back up. I told someone the other day, if my house was on fire I would grab my Bible and my computer. My Bible, because it filled with so many moments in my life when I found comfort, help and inspiration with notations on the side etc. My computer because it contains all my photos. I used to say, "My box of photos." Wow! Glad you have this.